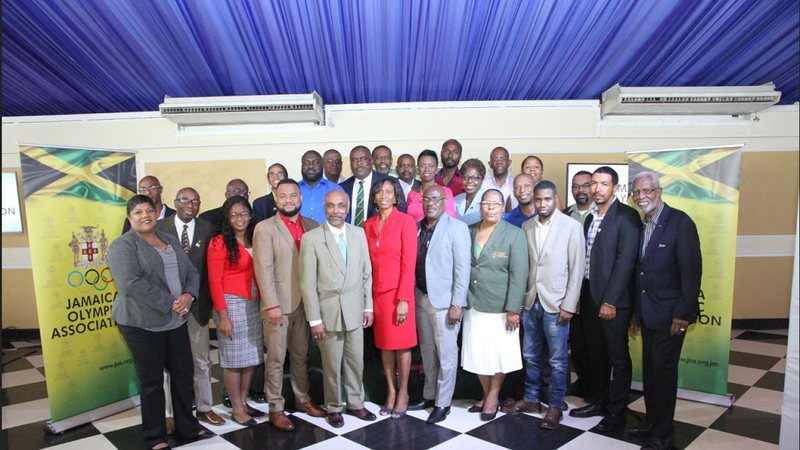 Principals pose for a photo at the sponsorship announcement for Netball Jamaica's Major and Minor Leagues, at Olympic Manor, Jamaica Olympic Association (JOA) headquarters on March 14, 2019. They are (from left) Christopher Samuda, President, JOA; Starlight Productions' Lisa Spence; Omar Palmer, Consumer Distributors Manager, LASCO; Ryan Foster, General Secretary, JOA and Dr. Paula Daley Morris, President, Netball Jamaica and Gary Cole, Marketing Consultant, LASCO. 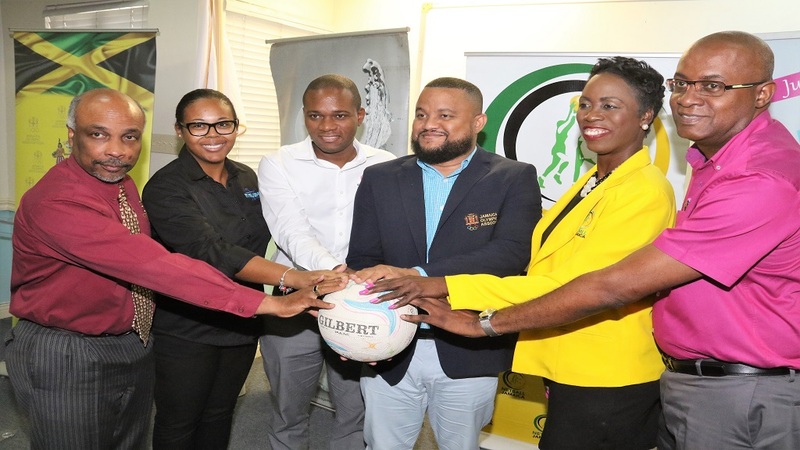 The Jamaica Olympic Association (JOA) highlighted netball’s success as a major catalyst driving its influence to secure sponsorship of Netball Jamaica’s Major and Minor League competitions. Two of the JOA’s partners, Lasco iCool Water and Starlight Productions, put up a $3 million sponsorship package for both competitions, which got underway last Thursday at Leila Robinson Courts. 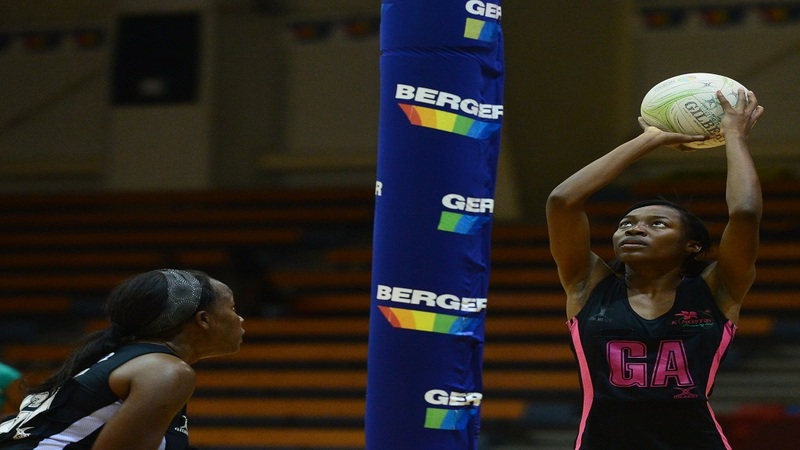 Foster further noted: “The successes of the girls leave us feeling encouraged and it is against this background that the JOA felt compelled to assist with the identification of sponsors for the Major and Minor League competitions being organised by Netball Jamaica. “Though not yet an Olympic Sport, we hope that in your conduct netball will in the true spirit of Olympism contribute to building a peaceful and better world through sport practiced without discrimination of any kind and in the spirit which requires mutual understanding with a spirit of friendship, solidarity and fair play,” Foster expressed. During her presentation on the leagues, Pauld Daley Morris, President of Netball Jamaica, expressed confidence that both Lasco and Starlight Productions would be happy to demonstrate their commitment to corporate social responsibility through sports, by engaging in this partnership. “The leagues also have a strong tradition of facilitating social, emotional and economic development of the players, through playing a significant role in transforming the lives of our girls and young women, who are of diverse backgrounds and socio-economic status,” added Daley Morris. Lasco has previously supported Netball Jamaica, with a $3 million sponsorship for the association’s 60th anniversary Sunshine Series against Trinidad and Tobago and England last year. This time they have put up $2 million of the amount to cover the costs the Major and Minor Leagues. “We are proud to be associated with this series, which seeks to nurture our future Sunshine Girls through our flagship iCool Water brand along with iDrade isotonic beverage and Curves feminine napkins,” shared Omar Palmer, LASCO Distributors’ Consumer Division Manager, at the launch. 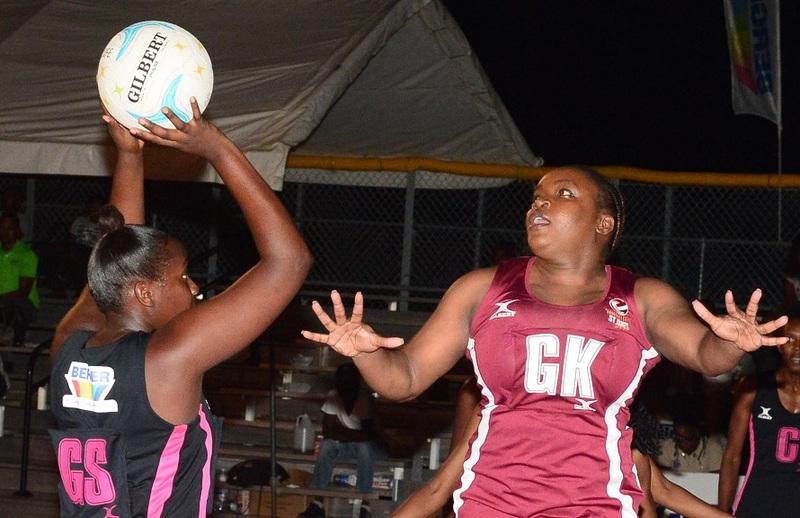 We believe that the LASCO iCool/Starlight Production Major and Minor Leagues will transform our talented young ladies and ensure that Jamaica not only take the number one spot in the world of netball but keep it for years to come,” added Palmer.